I wasn’t sure what to expect when I arrived in Eden, Utah, for Summit Mountain Weekend. What is Summit? It’s been described as Davos meets Burning Man, with a dash of TEDx salon. On this weekend, 150 people gathered at Summit’s resort in Powder Mountain. The group included CEOs, musicians, an Olympic medalist skier, a former Obama administration official, and a MacArthur genius. 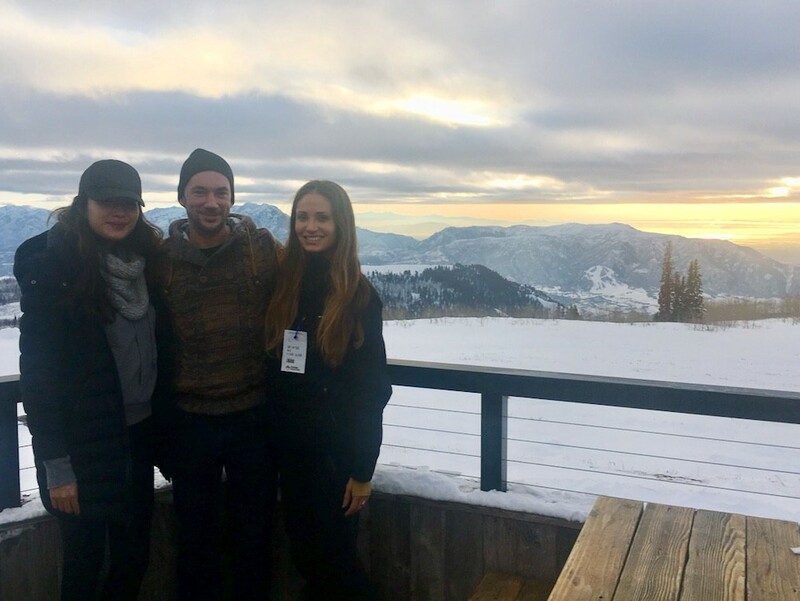 We gathered for après ski each day at the Sky Lodge, 9000 feet up, offering jaw-dropping views across 4 states. The weekend’s theme was health and wellness. 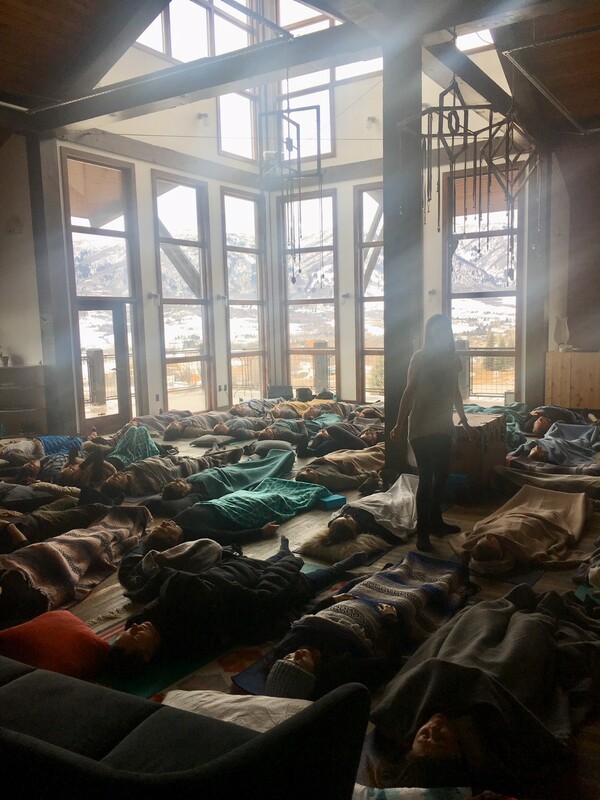 Led by academics and wellness coaches, the workshops highlighted new approaches to breathing, exercise and mind-body connection. On Saturday we heard a pre-dinner talk by Dr. Andrew Huberman, Professor of Neurobiology at Stanford School of Medicine. His lab studies disorders of sensory-limbic integration such as chronic anxiety, phobias and PTSD. Dr. Huberman believes breathwork, long a key part of meditation and yoga, is becoming a discipline in its own right. Breathing coaches like Wim Hof are helping popularize the “breath of fire” from kundalini yoga and its link to athletic performance. “I think of Wim Hof as the Arnold Schwarzenegger of breathing,” he said, referring to the cultural shift in the 80s that led more people into gyms. He pointed out that just 5 years ago most people didn’t talk about meditation or mindfulness. The benefits weren’t readily accepted by western medicine. 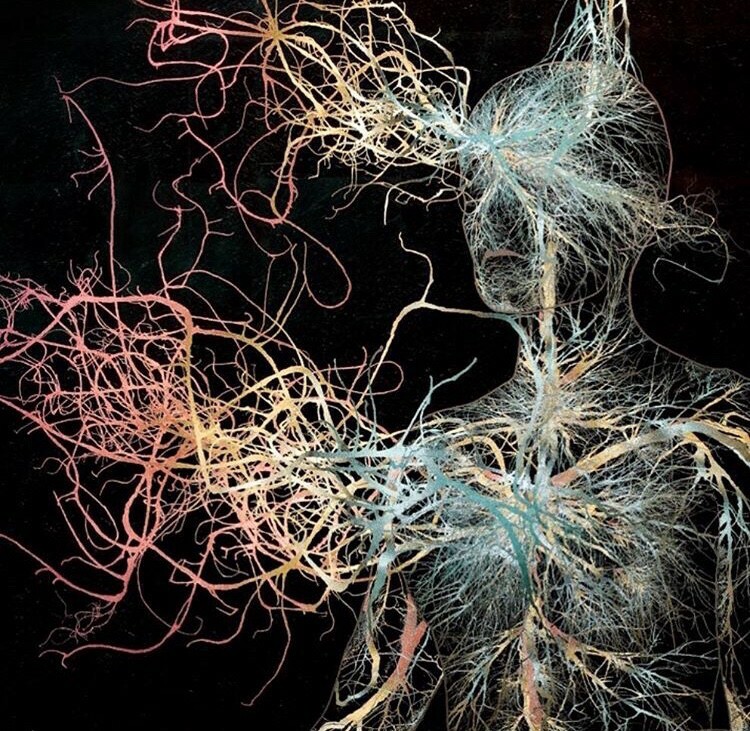 In his lab at Stanford, Dr. Huberman is doing research on breathing and how it impacts emotional states. He’s also developing an app to customize breathwork for people via a simple inhale-and-exhale test with a carbon dioxide monitor. As Dr. Huberman explained, when we breathe through the nose, we give off more carbon dioxide. This lowers the heart rate, calms the nervous system and enhances athletic performance. “Breathwork can be thought of as exercise in that, if done correctly, it has immediate benefits — physical, emotional and cognitive,” he said. With practice, people can alter and strengthen the neural pathways that link breathing with emotion regulation centers in the brain, which can help them feel calmer and more alert, and sleep better. Picture a roomful of 40 people, lying side-by-side on yoga mats, covered by blankets as trance music blasts from a speaker. A shaman-like leader paces the room, burning sage and rubbing hot oil on people’s faces. “This is so LA,” I thought. I’ll admit I was skeptical when I heard about BlissPoint BreathWork led by Lisa de Naervez. But everyone on Sunday was buzzing about the previous day’s workshop. So I tried it. We gathered on yoga mats as Lisa explained what we’d be doing over the next hour. The program is an active meditation that combines a simple 2-part breath sequence, based on traditional yogic theory, with curated music and sound frequencies. It starts with open-mouthed breathing through the belly (“like Buddha”). The breath expands from the belly to the heart. Then you exhale. Belly, heart, exhale. The inhalation time should be 4 times as long as the exhale. This type of breathing results in hyperoxygenation — an increased flow of oxygen to the brain. It shifts the body from the sympathetic nervous system (associated with the body’s “fight or flight” response) to the calmer, parasympathetic nervous system. Lisa had us cover ourselves in blankets for warmth. As in sleep, your body cools down when you lie still for an extended period. On our backs, as meditative sounds pulsed from a speaker, we practiced the heavy breathing technique for 45 minutes. People were transported into altered states, making feral sounds and bursting into unrestrained laughter. After 10 minutes I began to feel my brain light up in a new way. Within 20 minutes my hands began to tingle. By the end I felt a calm, inner peace I hadn’t felt in a long time. After the class was over, we gathered in a circle to share our experiences. I don’t know all the science behind this breathing exercise. What I do know is it’s a powerful, memorable experience — one I’ll certainly try again. Click here for more info about BlissPoint Breathwork and Summit Series.